Um … no. “Doré” means “golden” or “golden brown.” THAT makes sense: golden brown bacon. 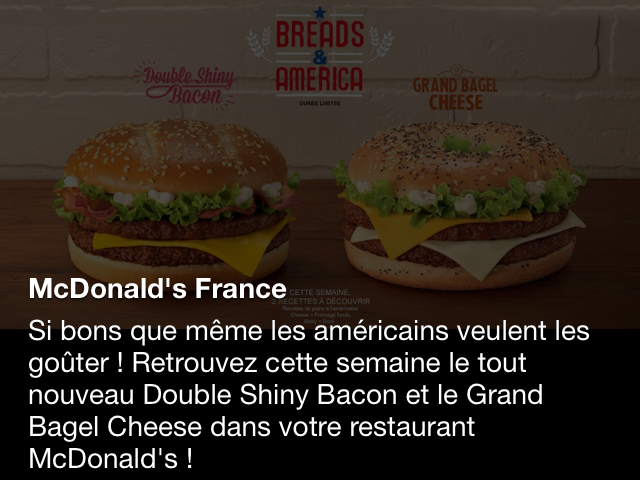 So, why did McDonald’s name it “Double Shiny Bacon” and lie to the unsuspecting French folks about what it means? Well, like all of this advertising, it’s directed to those French folks and not to forehead-scrunching Americans like me. 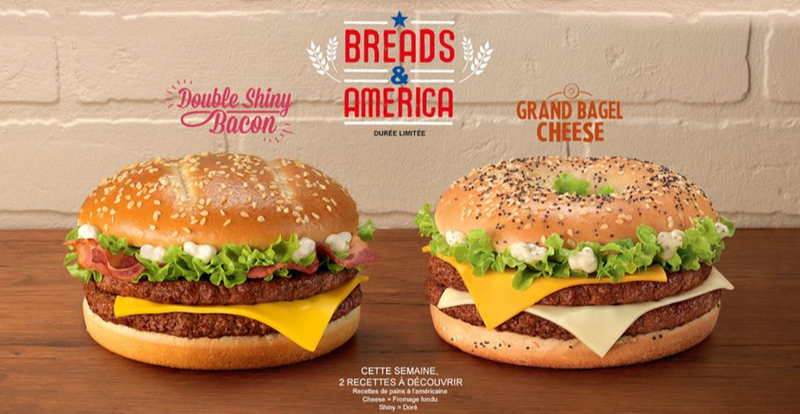 McDonald’s spends a lot of money on market research, after all, so “Double Shiny Bacon” obviously sounds good to the French — the perfect nexus of sonority and American cachet — even if it sounds unappetizing to those of us who know what it really means. “So good even the Americans want to taste them! I have not seen that. Fortunately (? ), I’ve yet to make my way into a Pizza Hut here in France, but you know what? For the blog, sometimes you just have to throw caution to the wind! Ha ha! Thanks for sharing that! Went to McDo just yesterday for lunch (once a year treat for the husband), and I noticed exactly what you described….the familiar with a French slant. But the ad for shiny bacon is just brilliant :-). If I ever go to France, I will definitely have to try that double shiny bacon!